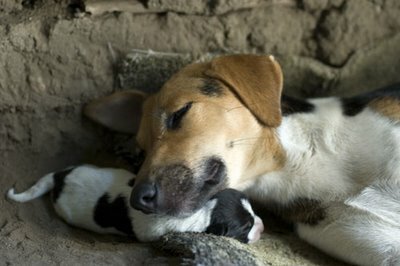 all who are thirsty: Puppies!!! 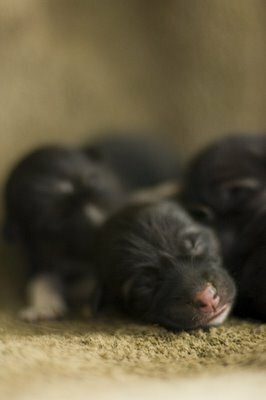 So one of the missionaries' dogs just had six little puppies!!! Here are some pictures of the newborns (if it lets me upload them)! Nike asked me to write you and tell you to stay away, I repeat, stay away from the cute puppies. Nike says he is the only dog you should love and he certainly and proudly says he has the smelliest breath of all. OHHHHHHH Nike. So jealous. I'm sure you can just hear the high pitched noises!!! The puppies are sooooooo cute! The puppies are so cute!!!! Do you think you could sneak a few home to me?? :) Thank you so much for setting up this blog. Erik and I love reading about how God is using you in Uganda. We are praying for you!!! Love you! those puppies are ADORABLE. Enjoying your gummi baren & german chocolate?